Were these genres ever better, or more adventurous, than they were in the late sixties and early-to-mid seventies? This mix here, which bookends punchy stretches of pure funk gold around a wild and crazy jazz-fusion midsection, captures some 1977's best contributions to that golden era. 1. 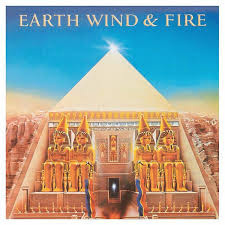 Serpentine Fire - Earth, Wind & Fire: We open with another track from Each, Wind & Fire's triple platinum '77 release All 'N All, Serpentine Fire, a song that would go on become the number one R&B single of 1978. 2. Bop Gun (Endangered Species) - Parliament: The more-soul/less-rock oriented of George Clinton's two different 70s projects with near identical lineups (the other obviously Funkadelic), Parliament was still at the height of their powers and popularity in 1977, coming out with one of their best efforts, the disco-trashing (Clinton considered disco watered-down, consumer-data-driven funk for the masses), wildly titled sci-fi funk epic Funkentelechy Vs. The Placebo Syndrome. This track focuses on the powers of the Bop Gun Clinton's holding on the cover, which immediately turns anyone hit by its rays funky. 3. 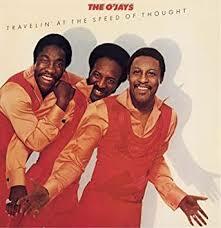 Stand Up - The O'Jays: Apologies to fans of the awesome Work On Me, but this unbelievably funky live cut from the O'Jay's otherwise studio-anchored '77 release Travelin' At The Speed Of Thought was impossible to deny, and I have to say, writing this just days after the Squirrel Hill shooting and Cesar Sayoc capture, this song from Philly's finest has a particularly timely sense of mission to it as well. 4. 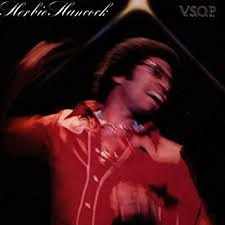 Spider - Herbie Hancock: Spider is the closing number from Hancock's 1977 live jazz/funk fusion album V.S.O.P., based upon a 1976 show in which the keyboardist was joined by the rest of his V.S.O.P. quintet that also included Wayne Shorter, Freddie Hubbard, Ron Carter and Tony Williams, as well as guests The Mwandishi Band and The Headhunters. The whole record's great, but it's when guitarists Ray Parker, Jr. and Melvin "Wah Was" Ragin come on stage for the final two numbers Hang Up Your Hang Ups and Spider, here, that the funk really starts flying. 5. Nne (Part 2) - Miles Davis: Get ready for some absolutely crazy, abstract voodoo s*** here from the tail-end of Davis's initial fusion period. 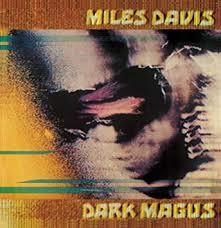 Taken from a one-of-a-kind Carnegie Hall 1974 performance recorded just weeks before Davis's first retirement, Dark Magus captures Davis and his band (which on this night included two up-and-coming musicians who had never sat in with the band before) embarking on one of the wildest, most hypnotic improvisational adventures of all time, diving into a quartet of 25-minute created-on-the-spot compositions that, anchored around a trio of guitarists, often recall Hendrix at his late-career Machine Gun best. 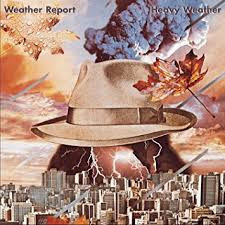 Originally released in '77 only in Japan (because Davis's previous two post-retirement live albums had sold so poorly in the states), it was reissued worldwide in 1997, to mixed reviews. But as the album caught on with noise-rockers around the world, its critical reputation grew, to the point now where it is now considered one of the all-time great "heavy" albums. Nne (Part 2) presents the final ten minutes of the legendary show. 6. Birdland - Weather Report: Another of the 70's premiere jazz/funk fusion bands, this one international in make-up and anchored around the trio of Austrian keyboardist Joe Zawinful, Wayne Shorter (again) on sax, and Czech bassist Miroslav Vitous, The Weather Report would reach their commercial and critical apex in 1977 with their eighth studio release Heavy Weather (one of the all-time best selling albums in Columbia Music's jazz catalog), and it was the success as a single of the album-opening Vitous composition Birdland that ignited most of that popularity. 7. 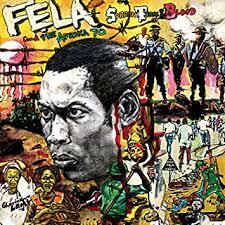 Colonial Mentality - Fela Kuti: From late 1976 until early 1978, Afropop kingpin and legendary bigamist Kuti was incredibly prolific, releasing five albums -1976's Zombie, 1977's Stalemate, No Agreement, and Sorrow Tears and Blood, and 1978's Shuffering And Shmiling - that now stand collectively as one of the most revered stretches of his career. And though Sorrow Tears and Blood was initially met with a less unenthusiastic critical reception than the other releases for its more understated, less militant tone, it is now generally viewed as the second strongest album to come out of this period after the extraordinary, forceful Zombie, so I've selected Sorrow's closer Colonial Mentality to stand in as representative of Kuti's '77 work here. 8. 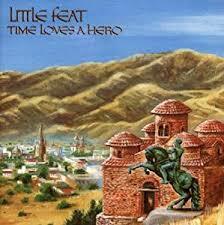 Hi Roller - Little Feat: Early-70s country-funk pioneers only had one more classic album left in them by 1977 when the released their sixth studio album Time Loves A Hero (which while quite solid wasn't that last classic), but they were still a band that could lay down a funk groove with the best of them, as Hi Roller clearly shows. 9. 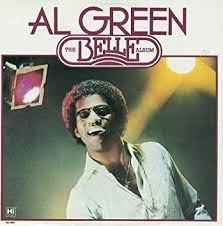 I Feel Good - Al Green: The Belle Album - Green's twelfth full-length release and his second to last secular album before he would go on a twenty-years-long gospel-only stretch - didn't deliver any major hits, but it's a solid soul effort front-to-back, highlighted by this funky side two opener here. 10. 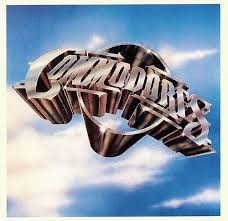 Patch It Up - Commodores: We've already highlighted the Commodores two biggest hits from their self-titled debut, Brick House and Easy, on earlier mixes, but there was no way they weren't getting another representative track on this mix. Tough call picking Patch It Up over album opener Squeeze The Fruit, but it's TV On The Radio-anticipating vocal delivery was the difference. 11. Trouble Man - Marvin Gaye: As brilliant as he was, Marvin Gaye could also be a very shy, uncomfortable performer on stage, especially when it came to those moments where he wasn't singing. 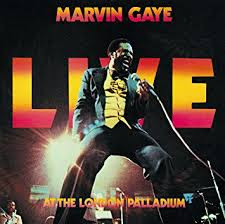 1977's Live At The London Palladium captures both sides of his savants nature. The music is fantastic, especially this crazy funky number here and a pair of ten-minute medleys - one that covers his early Motown years, the second his What's Going' On/Let's Get It On peak. But the rambling, almost incoherent nature of his stage banter, some of which is featured at the end of this song, suggests an artist who was barely holding it together. 12. Flash Light - Parliament: Every year, on cue, I whine about the songs Nancy stole from me for her mixes, but this year, the opposite was true. I looked forward to ending this mix with Funkentelechy Vs. The Placebo Syndrome's title track because I that song's final five minutes so much, and more significantly, because I was sure Nancy would grab Flash Light. But Nancy shocked me by opting out on Flash Light. 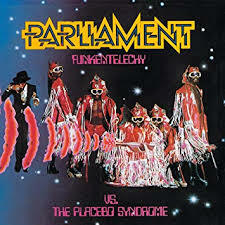 So now Flash Light, not Funkentelechy, gets to close out our '77 funk mix, which in the end, is probably how it should be.